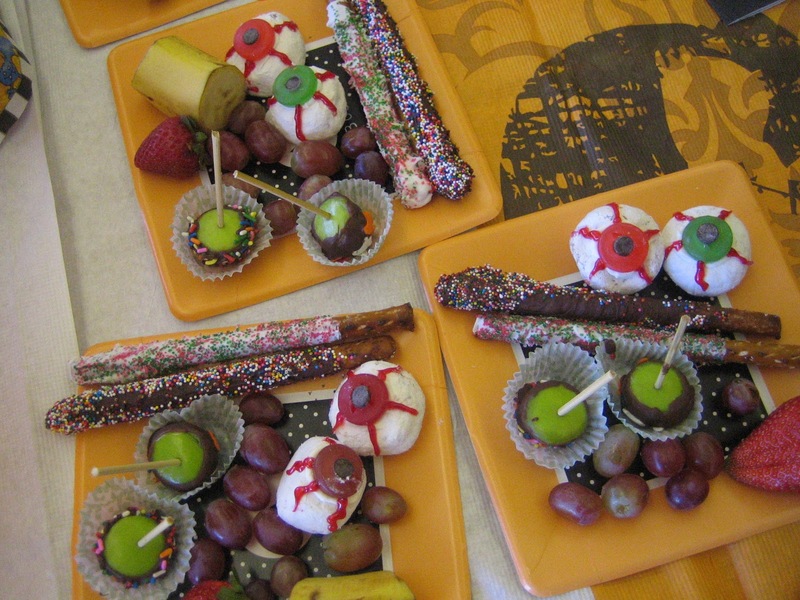 Looking for something different to bring to the classroom Halloween party? 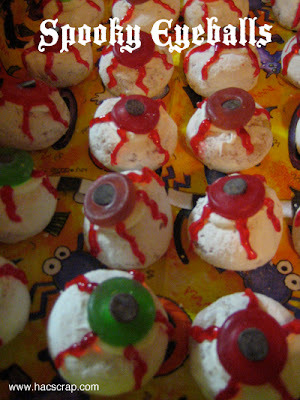 How about these Spooky Eyeballs! 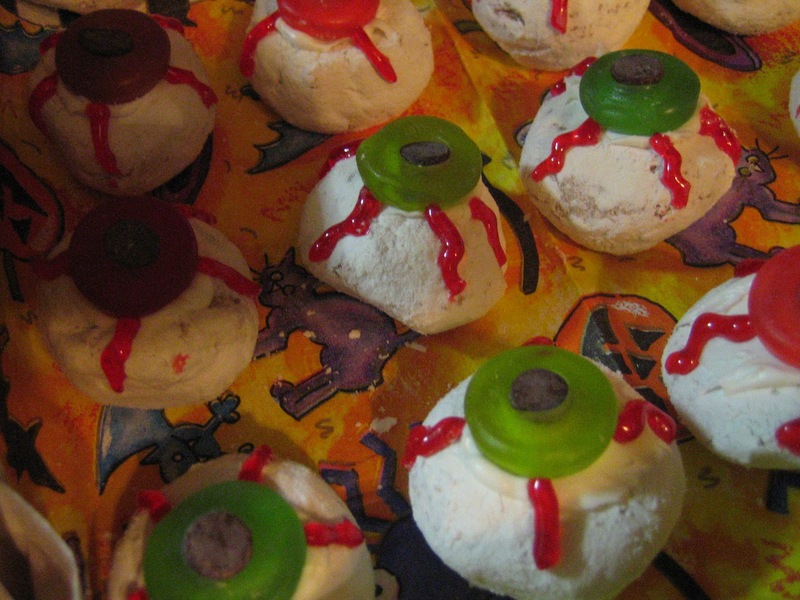 Set up your doughnuts, and put a drop of white icing int he hole of each one. Put a chocolate chip in the center of a Gummy Lifesaver and put it on top of the doughnut (use the icing to secure it), flat side up. Make "veins" with Red Gel Icing or Red Shoestring Licorice cut to fit. These were a real hit when I brought them into school.